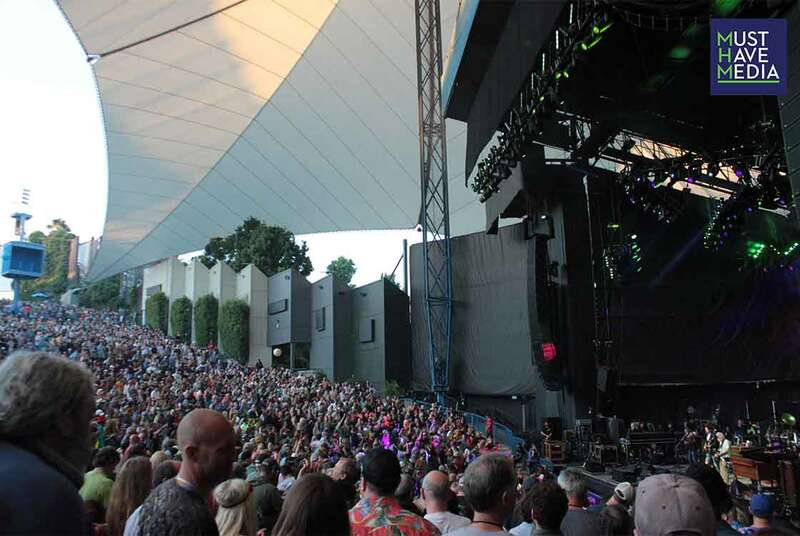 After a successful summer tour, Dead & Company brought the season to a joyous close on Saturday night at Shoreline, only two days ahead of what would have been Jerry Garcia's 74th birthday. The soul of The Grateful Dead lives in Dead & Company, primarily through original members Bob Weir, Bill Kreutzmann and Mickey Hart. 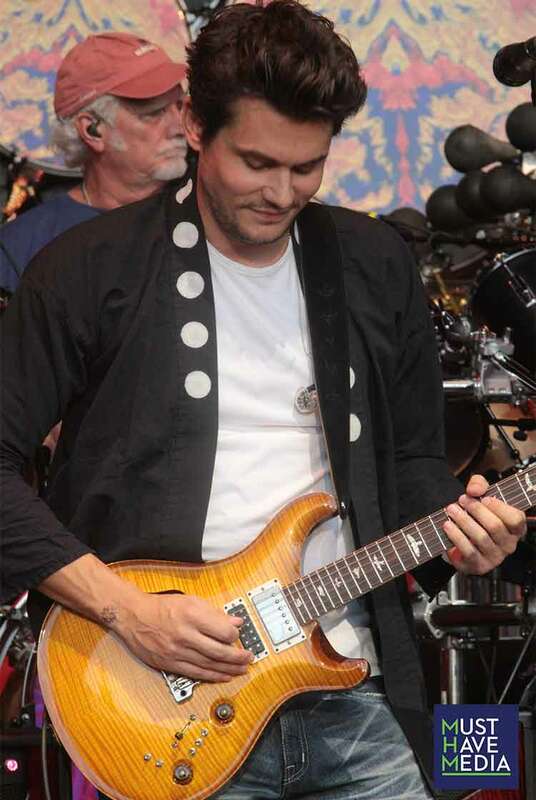 Along with John Mayer, Oteil Burbridge, and Jeff Chimenti. The band has put a fresh twist on the beloved classics while remaining true to the originals — bending the borders rather than venturing outside of them. After beginning the tour with a free surprise appearance at The Fillmore in San Francisco, encouraging fans to "pay it forward," it was the six-piece virtuosity of the bandmates that said "thank you" loudest. 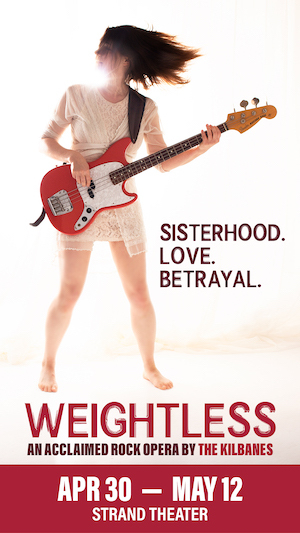 It is not surprising to see this band mix things up a bit. For instance, when the show opened with a version of "Help On The Way" that turned into "Slipknot!," most Heads in the audience were predicting the third track to glide effortlessly into "Franklin's Tower," just as it had so many times before. Instead, Dead & Company kept everyone on their feet by bopping right on into "Shakedown Street." 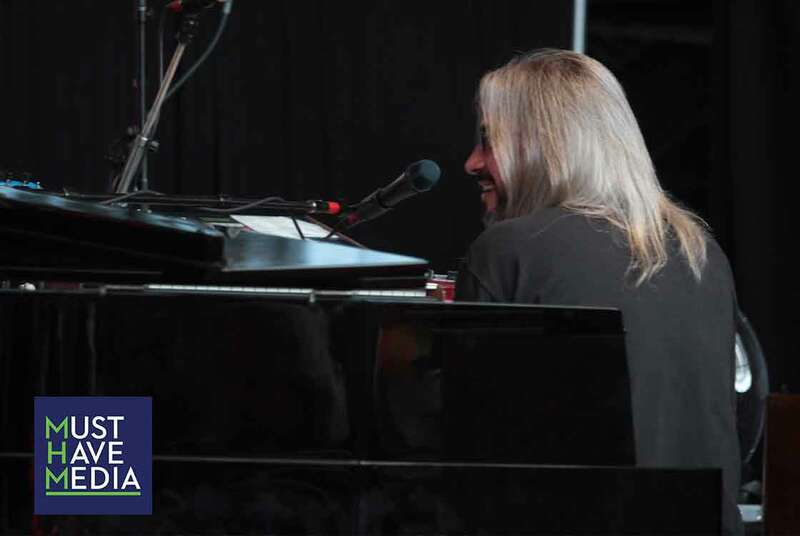 Mayer and Burbridge traded melodic phrasings back and forth, like a game of catch, and Chimenti's keys were the supportive go-getter that pumped up the team morale. 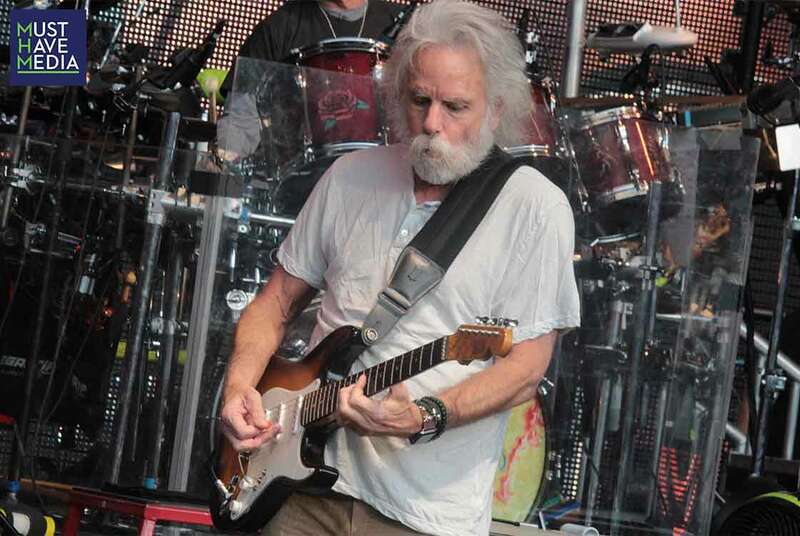 Weir stepped up to deliver his own original, "Cassidy." 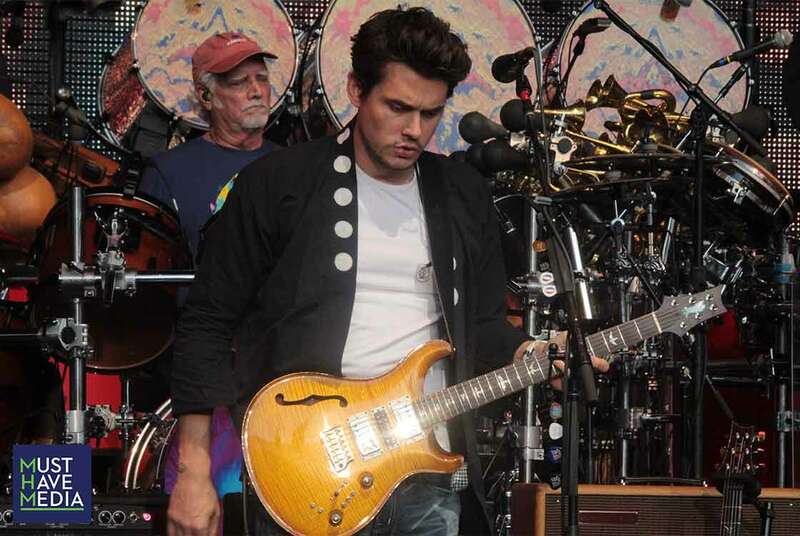 The rest of the band backed off heavily, and Mayer's self-control was in check as the song slowed to a stop. For a moment it felt as if they were wandering into true-to-life GD territory with their notoriously drawn-out, half-speed jams, but in reality the song sort of petered out into the horizon as Mayer took over vox on "Standing On The Moon" from The Dead's 1989 album Built To Last. "Me and My Uncle" was short, sweet and with relatively no jam — however each member added intricate and difficult licks. 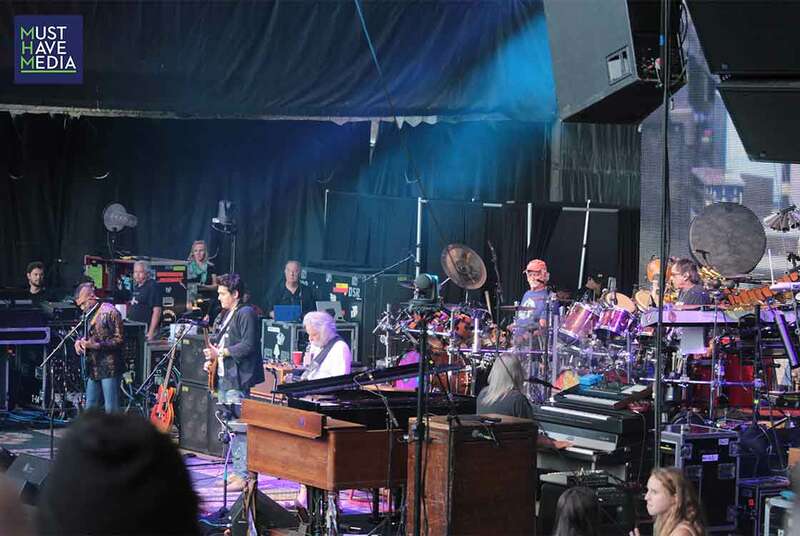 "Brown Eyed Women" was the first of five Fillmore repeats which featured a stellar classical blue lead from Chimenti, punctuated by Mayer's explosive fills. Despite the fireworks (literally and figuratively: people were lighting off mortars and bottle rockets on the lawn as Mayer played on stage), Chimenti's solo went under-appreciated in the crowd. It wasn't long before Burbridge took the transition into the long-awaited "Franklin's Tower" from the opening segment, closing out the eighth and final song of the 75-minute first set. After nearly an hour-long set break, the sun had finally fully set behind the amphitheater and the band strolled back onstage at 9:43pm beginning the second set with a 20-minute "Dark Star." Weir's vocals, although often strained with emotion, were loud and on-point throughout the second set. Weir shared vox with Mayer on "St. Stephan." Along with "Dark Star," the first two songs of the second set were also repeats from the pay-it-forward show at The Fillmore. The jams were wider, looser, and overall more spread out in the second set, and "St. Stephan" even included a tease on "The Eleven," a song whose lyrics link with the feeling and theme of "St. Stephan," but never fully entered the tune. The jam segued into "Eyes Of The World" off 1973's Wake of the Flood. "Jazzy" Jeff Chimenti and Burbridge traded masterfully impressive licks alongside sharp percussive beats and light drumming in the first jam. In the second bridge, Weir literally took a seat for Burbridge to show off some of the flair he brought to The Allman Brothers Band before joining the ranks of The Dead. 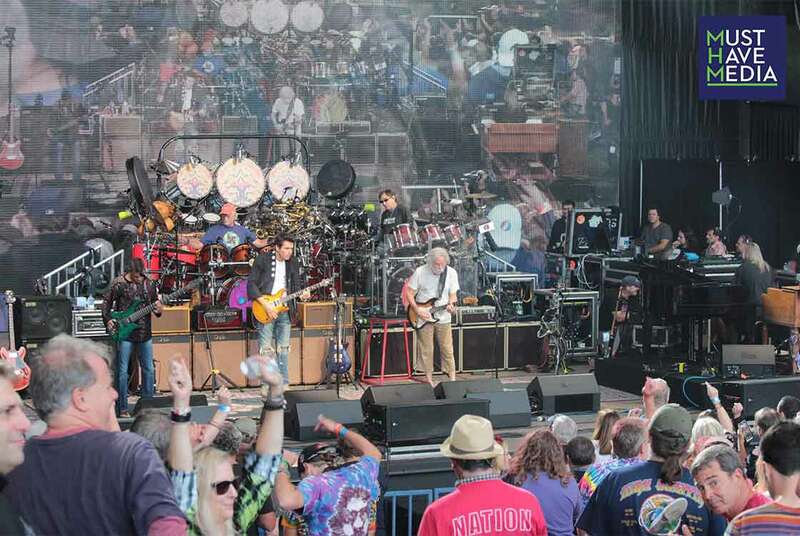 Almost 45 minutes and three songs into the set, the group busted into the title track from 1977's Terrapin Station, an album that saw The Dead depart from the noodley jazz and traditional framework of songwriting for a more orchestral, prog vibe. That progressiveness allowed Burbridge, Mayer, and Chimenti the space to continue showing off in a way that wholly advanced the vibe of the evening into the final "Drums" > "Space" segment of the tour. During "Drums," Burbridge stayed onstage and bounced between Kreutzmann and Hart's ensemble. The trio was joined by another guest — basketball legend Bill Walton, arguably the biggest Deadhead in the land. 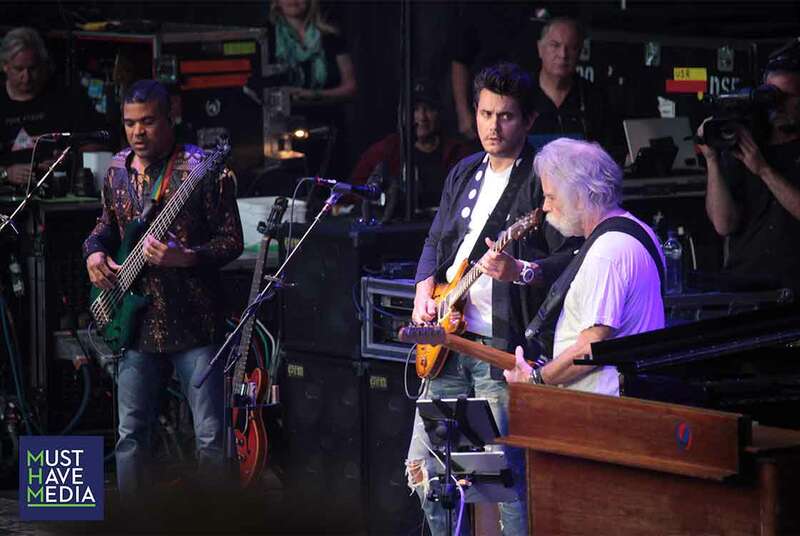 Beginning with a simple loop, the percussive pair drew many contemporary comparisons that prove Dead & Company is by and large more than a Grateful Dead cover band in the key of Mayer, as many disgruntled fans have expressed over the last year. If anything, the evolution of "Drums"/"Space" and the virtuosity of Burbridge on bass lends to Mayer acting as more of an anchor on the bluesy roots and the ever changing Americana spirit. At times the sequence dubbed, looped, and glitched intricate rhythms a la EOTO, the electronica-based dance project of another famous percussion duo: Jason Hann and Michael Travis of The String Cheese Incident. As the nearly 20-minute sequence faded silently into the night, Weir picked up the pace and launched the band into one of the most impressive songs of the evening: "Days Between," another intentionally ambitious and grand song penned by Robert Hunter and the late Garcia. Unlike "Terrapin" or "Dark Star," "Days Between" didn't come to fruition in the live show until 1993, always in the second set and usually out of the "Drums"/"Space" sequence. Dead and Company stayed true to tradition in that regard for the fourth repeat of the Fillmore show. As the evening wore on, the band found themselves transitioning to their cover of "Not Fade Away" for the closing of the second set. 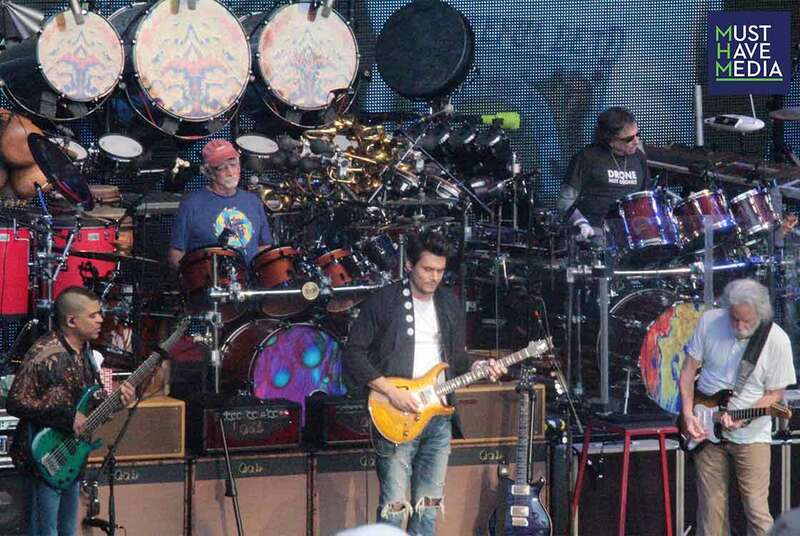 One of the top-played songs in The Grateful Dead's catalog, a significant moment in the sharing of vocal duties existed between Mayer and Weir and continued into the encore. The tune opened with the usual crowd clap-along to the main beat. The crowd was overpowering even the speakers at times, with the claps and chorus ringing out in thunderous echoes. As the band walked off stage to the clapping and singing, many in the crowd took to cheering, whistling, and hollering their gratitude, but some held fast and steady in their continuation of the clap, acting as the segue from end of set to encore and right up into the first notes of "U.S. Blues" before closing out the evening with "Brokedown Palace" and the reverberating sentiment of The Dead's final full reunion last summer, dubbed Fare Thee Well. The fifth and final song they repeated from The Fillmore was also the encore on Saturday. As it stands, there will not be "One More Saturday Night." Bring on the fall tour boys !! This was one helluva summer tour & this ride must continue further… Bob already indicated that there was one more plateau to to climb so let’s get there !!! Only mortars and fireworks going off for this lawn-dwellar on that fine July night was inside my head. I heard Johnny Bottlerockets Mayer goin off. That much is for certain. I didnt see or hear any fireworks either.. I did see a fiery red haired maiden get chased by security clear across the lawn in hot pursuit. Girl had crowd navigation skills! Nice review. I was up in the middle of the lawn, and pretty conscious. I have no idea if you were being literal when mentioning fireworks and mortar exploding on the lawn.What an odd comment. agreed…. I was on the lawn the entire time and didn’t hear anything resembling fireworks or mortars going off… odd to make that comment…..